The project 2nd Communication is formed by Dossa Yun in the programming, samplers and voice; Trast C. Howard in the samplers and Toshiani Ishida in the metallic sounds. 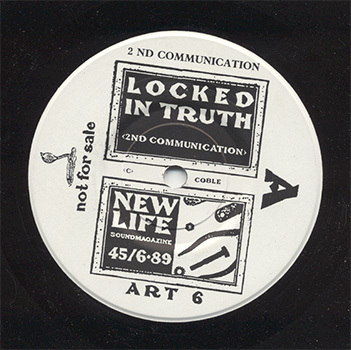 In 1989 they signed with the company KK Records and they throw their first LP "2nd Communication", in 1990 the single "The Brain That Binds Your Body" and their second LP "My Chromosomal Friend". Their style is located inside the Electronic Body Music taking a mixture of inciting rhythms with abundant samplers and distorted voices.